I hope you enjoyed some downtime with friends and family over the holidays. I took some much needed time off from both the day job and blogging. It's been great spending some focused time with my family. I've also enjoyed having a little extra time to set goals and think about how to best accomplish them. The latter is really important to me. With a demanding job and two young children at home, I really need to choose my hobbies and side projects carefully. I managed this balance better than ever in 2014, but there is still plenty of room to improve. But more on that later. Today, let's have some fun. I am going to start 2015 by taking stock of my daily carry items. 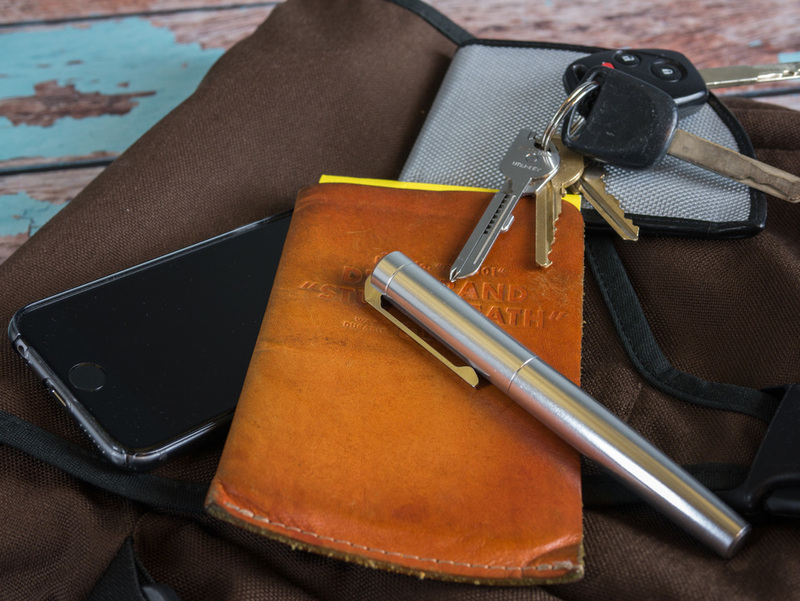 Who knows, maybe a New Year's Day pocket dump will become an annual tradition. Let's kick things off with the most important item in my pocket: my Karas Kustoms Ink. It writes well, looks great, and is built like a tank. 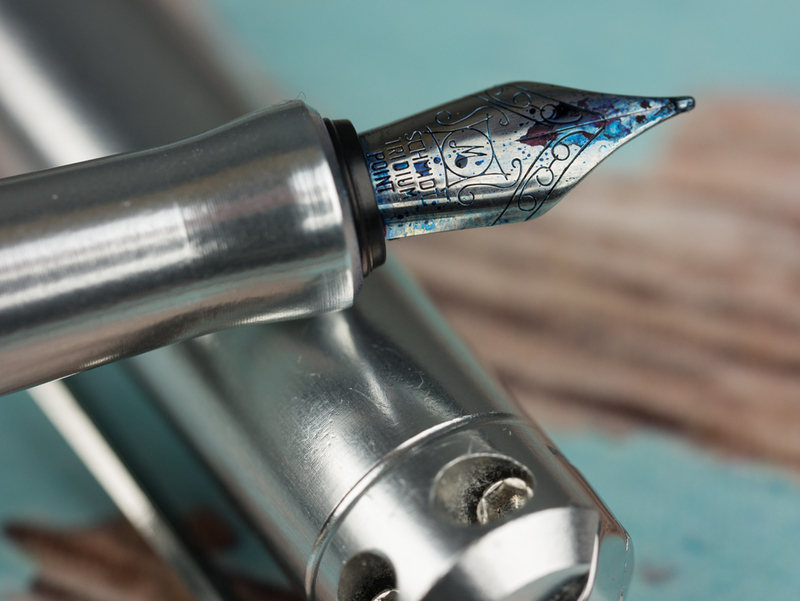 Even if I'm at home with my full pen collection close at hand, I often just reach into my pocket for the Ink. Lately, I've been inking it up with Noodler's 54th Massachusetts. It's a great color, and the fact that it's permanent means that I don't have to worry about signing documents or addressing envelopes with it. 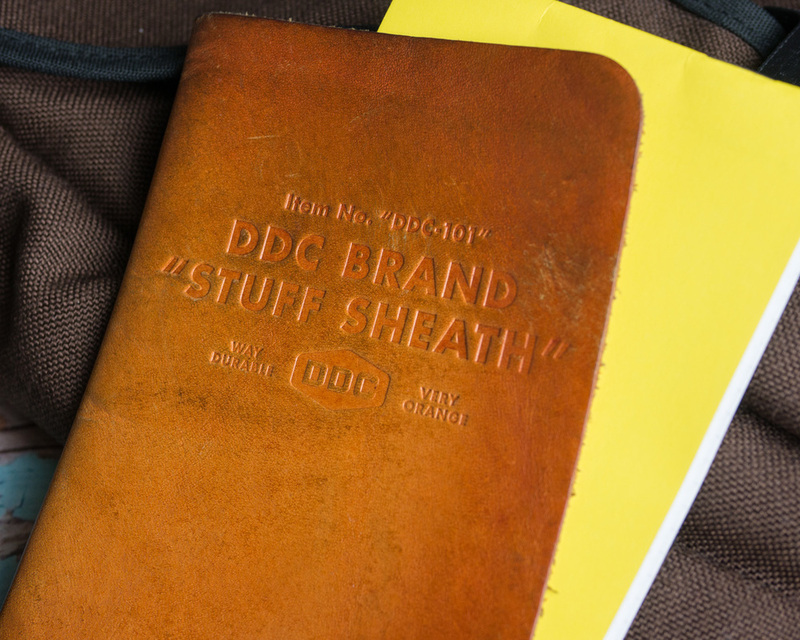 My first ever product review on Modern Stationer was of the DDC Brand Stuff Shealth, and I haven't looked back. It just keeps getting better with age, and it's indispensible for things like boarding passes and receipts when I've traveling. The Doane Paper small utility notebook that I reviewed recently has been a recent staple in the Stuff Sheath, but I switched over to the new NockCo DotDash Pocket Notebook for January. Stay tuned for a full review once I fill one or two of them up. I'm a front pocket wallet guy, and these days I'm running the Rogue Wallet from Rogue Industries. 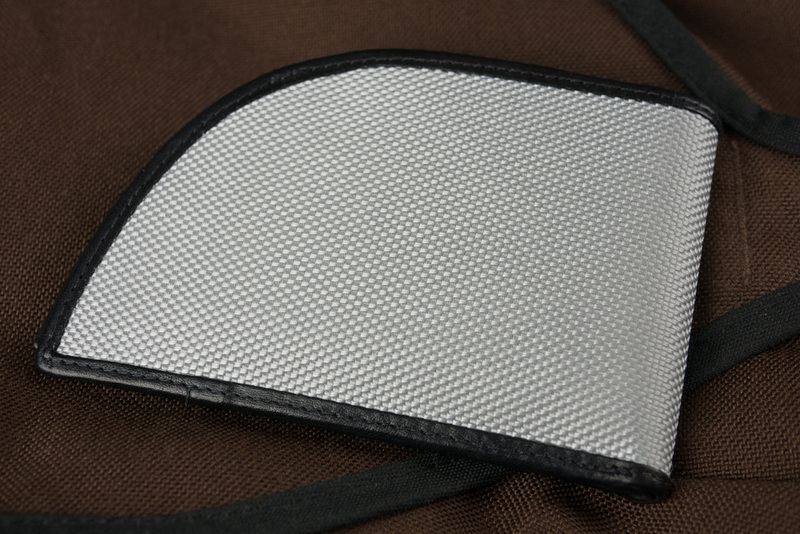 It's specially shaped for front pocket use and features RFID blocking technology if that's something that's important to you. 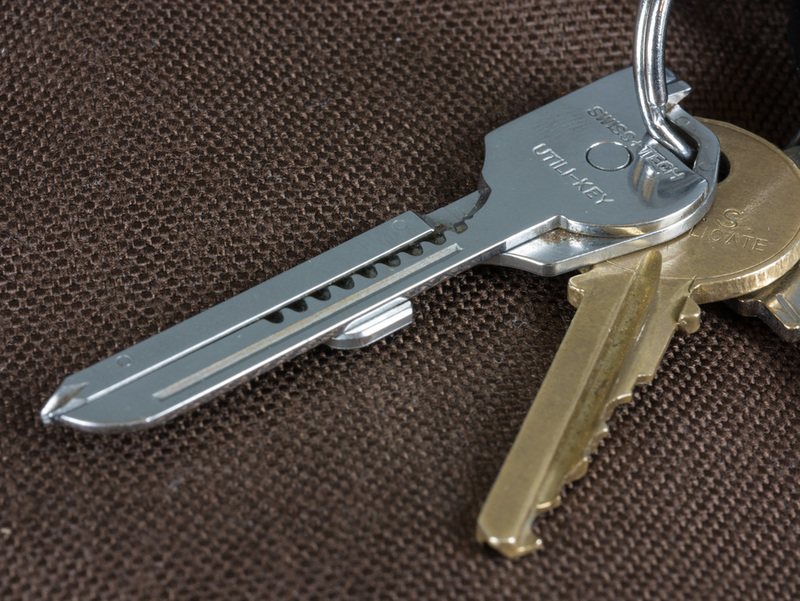 I keep my keys to the minimum necessary on a simple keyring, but one indulgence is the Swiss+Tech Utili-Key. It adds very little weight and bulk to my keyring but ensures that I always have a basic knife, bottle opener, and screw driver with me. It does none of these things particularly well. Its value is that it's always there. I've been taking it through airport security without incident for years, and I've done everything from swap out PC RAM to repair my suitcase on the airport shuttle with it. You can pick one up on Amazon for the grand sum of $6.42. 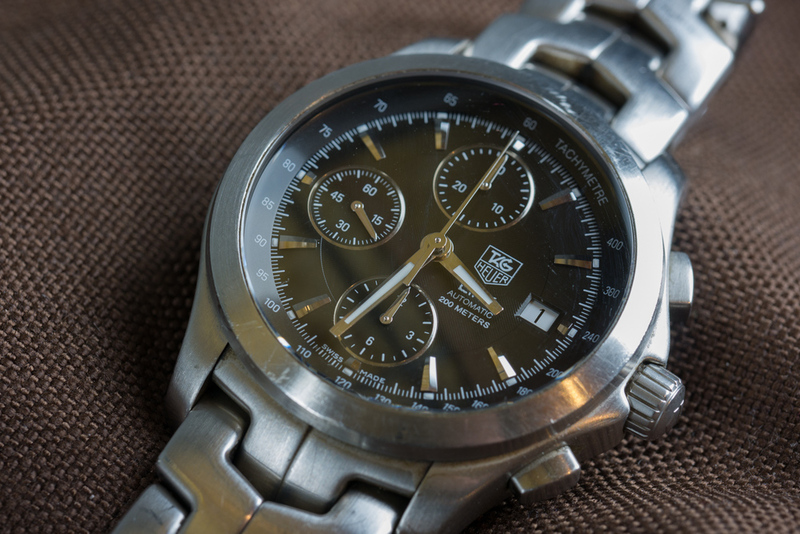 My watch is the Tag Hauer Link. It's not the most imaginative choice, but it's a solid automatic that has served me well for 9 or 10 years. It also looks pretty good with both casual and business attire, which is nice. 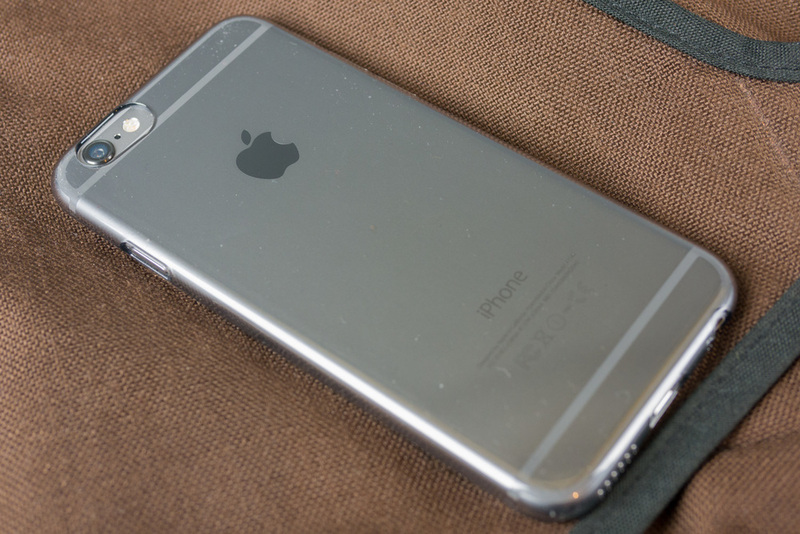 My phone is the 64 gigabyte iPhone 6 in Space Grey. I originally ordered an iPhone 6 Plus, but I got tired of the shipping delays and switched over to 6. Even with the 6, I'm enjoying the extra screen size. I'm usually a no case guy, but with the added size of the 6, I decided to go with the Power Support Air Jacket in Smoke. It gives me some basic protection but still keeps things pretty minimal. So that's where I stand at the start of 2015. I'm starting to get the itch to look more closely at everyday carry staples like pocket knives and flashlights, but I'm still pretty close to square one. I'm also not sure I want to add more bulk to my pockets. Of course, if you have favorites, I'd love to take a look. Hit me up in the comments or on Twitter.